Love is often sought through appreciations or concerns from loved ones. Is it true love? It creates boundaries; it sets an undertone of give and take. Love’s first quality is that it is pure and unadulterated. It is usually seen in mother’s love. Mother can even go to the extent of sacrificing herself for the benefit of her child. There is no expectation in return. The sole objective is the betterment of the child. the second quality of love is that it is the basis through which one understands the situation and person/s involved. Love enables connectivity. Love is the foundation for empathy. 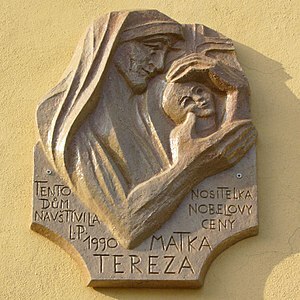 The ultimate example is Mother Teresa. Her empathy for poor sufferings propelled her to caress the leporsy patients without any aversion. One can visualise this untainted love when we see her divine hands clasping the poor hungry orphan. She loved God and saw him suffering in other souls. Her empathy flows from her deep understanding of suffering; suffering of poverty, hunger and deprivation. The third quality of love is that it is based on giving and letting go. It provides and nourishes. It is life source. It nurtures. It mentors. It protects. Our mundane sense of love is based on ” what is in it for me”. We attach a price. We expect reciprocity. That is when love falls and fails. A love can easily turn in to a hate if the expectations are not met with. The expectations are in various forms. These kind of feelings cannot be called love but passion and attachment. Then this “so called love” becomes dogmatic, possessive and dangerous . Love makes you humble and loving. You are always Smiling and Willing. You radiate energy. You attract people. You experience different high. the last but not least quality of love is that it is undiscriminative. It does not differentiate on any basis. Once the basis becomes, cast creed religion or nationality , the love can no more be called love, but an attachment deep down in which there is a selfish motive. And I have successfully infected my uncle with the blogger-bug !! Here’s his first post about love.